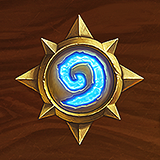 I believe we are missing great opportunities to bring the hearthstone community closer and build even stronger relationships specifically through Tavern Brawls. Hearthstone has obviously always been designed around the PVP format. We do get the occasional PVE brawl that comes along, but they are far too sparse in my opinion. Every week I hold out hope that the new brawl will involve cooperation rather than just another form of facing off against players. This ratio of PVP/PVE should be completely flipped when it comes to Tavern Brawls. 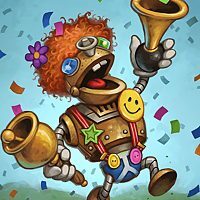 All month long, we grind against opponents on ladder and casual play, and it would be nice to rely on a weekly change of pace where we can come together, recruit friends and face challenging off-meta opponents as a team. This simple change can bring us closer together and help fight the tilt we all experience with relentlessly leveraging the current meta against each other. 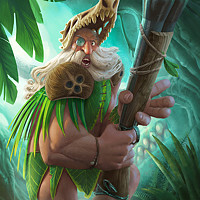 The current format of Tavern Brawls only serves to attract play for the duration of winning your Classic Card Pack, or quickly figuring out the perfect deck to stack up easy wins. Do we really need another way to grind? My proposal is to make Tavern Brawls primarily PVE bassed, they should be extremely challenging to survive the duration they are in play and offer a true sense of teamwork and accomplishment in victory. 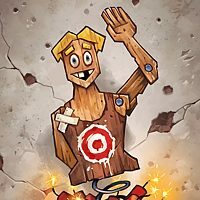 I have nothing against PVP, but we all know that feeling when you finally defeat a difficult adversary as a team, and that is the missed opportunity the hearthstone community can really benefit from. In great challenge should lie great reward. Perhaps another change to parallel this could be in the way the Tavern Brawl reward system pays out. This can be changed to a monthly reward upon completion of all previous Brawls that month. This format would allow players to invest more time in them beyond the first pack win that we are seeing now, and enable the rewards to be increased. I only propose these ideas as a loyal fan of Hearthstone. I want to see it survive and thrive. Please let me know your opinions on the matter and lets get this positive change noticed and pushed up as far as we can. I support all ideas for more cooperative gameplay. The coop brawls are my favorite part of this whole game. I also enjoy the coop brawls, but don't think we should limit the styles of brawls too much. Give us access to a Tavern Brawl vault for playing with friends. Allows access to every brawl created for matches amongst friends. I made a more detailed thread on how I thought the mechanics would work. This way, they can still hash out all kinds of new brawls each week, but the players have the option to play their favorite style again. A tavern brawl vault for playing with friends - that is an amazing idea. I had thought of that idea before but didn't post it. It makes sense to be able to play previous brawls against friends so we can try different decks and refine them to perfection.